Join us as we explore and expand your sewing skills! It's a great way to spend some time with friends, sharpen your skills, and then sit back and admire your handiwork with a complimentary cocktail (alcoholic or non!) at the end of the session. Please be sure to purchase your tickets in advance - class space is very limited! 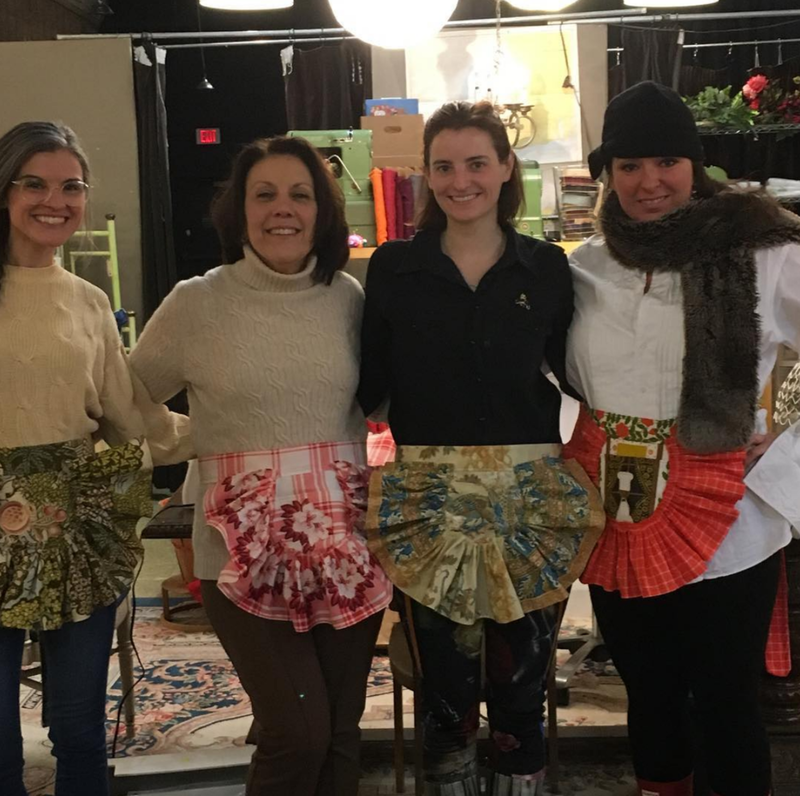 Carol Orr, owner of EBM Vintage, will teach basic sewing skills for brand new sewers, beginners, and those who want a little refresher course. COST: $25. Class space is very limited, so be sure to sign up in advance! Make a vintage pattern from start to finish! Alyssa Breeden, shop manager at Civvies and owner of Home.Sewn Handmade Home Goods, will provide instruction over three days of classes. We'll be making vintage cocktail aprons from a pattern found in a magazine from 1945. Skills: basic pattern drafting, gathering, pockets, stitching, understanding yardage and layout, appliqué and printing. WHAT TO BRING: Feel free to bring your own fabric (you'll need at least two yards - heavy weight is best) and basic sewing tools (scissors, pins, etc). We also have lots of beautiful material to choose from here, which will be available for purchase at a discount. COST: $75. Class space is very limited, so be sure to sign up in advance!